The Somaliland President, and delegation, arrived in Britain to meet with UK officials to discuss issues relating to the interests of both nations. The Somaliland President, H. E. Dahir Riyaale Kahin arrived in London on 5 March 2009 to begin an official visit to the United Kingdom. During this visit the President and his delegation met with various UK officials to discuss issues relating to the mutual interest of both nations. On Friday, 6 March 2009, the President visited the UK Houses of Parliament and met with the All-Party Parliamentary Group for Somaliland chaired by Rt. Hon. Alun Michael. During the meeting the President gave an overview of the situation in Somaliland, and that of the Horn of Africa. He welcomed the continued cooperation between Somaliland and the UK in vital areas such as democracy, security and development, and thanked the UK for its economic support. The peaceful development of Somaliland was welcomed by the All-Part Parliamentary Group, which committed its continuing support of the nation. Later the president was the main speaker in a meeting at Chatham House, where the role of Somaliland in the security of the Horn of Africa was discussed. During this speech Somaliland’s experiences, domestically and regionally were examined as were the challenges facing this emerging nation. The speech was also used to call for international recognition of Somaliland. Other dignitaries’ present included ambassadors from the EU, Ethiopia, Nigeria, several commonwealth nations alongside senior academics, the media and the general public. To read a transcript of this speech please click here. During his busy schedule the President was also able to meet with David Miliband, the UK’s Foreign Minister. Issues surrounding the Horn of Africa were again discussed, alongside economic developments and democratization. 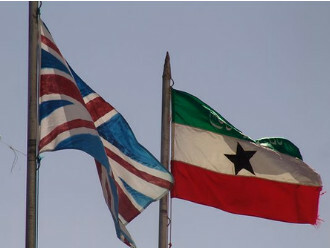 It was also used as an opportunity for the Foreign Minister to offer condolences on behalf of the British people to the victims, and people of Somaliland, after the terrorist attacks in Hargeisa on 29 October 2008. On Monday, 9 March 2009, the President met with members of the Somaliland community in the UK. This was used as an opportunity to brief the community on the progress made with UK government officials, as well as to discuss the forthcoming Somaliland presidential elections and voter registration. The Somaliland delegation included, Foreign Minister, Abdillahi Mohamed Duale, Somaliland's Ambassador at Large, Dr. Mohamed Daar, Somaliland representative in Ireland, Abdifatah Saeed Ahmed, Somaliland's deputy representative to the United Kingdom, Dahir Tukale, the President's secretary, Ahmed M. Essa and Dr. Abdillahi Guled Ahmed. Somaliland President, H. E. Dahir Riyaale Kahin and the Somaliland delegation arrived in London to begin their official visit to the United Kingdom. The delegation met with the All-Party Parliamentary Group for Somaliland. The President was the main speaker at Chatham House. The President met with the British Foreign Secretary, David Miliband. The delegation met with members of the Somaliland community in the United Kingdom. To read the transcript of the speech given by president Dahir Rayale Kahin of Somaliland, please click here.